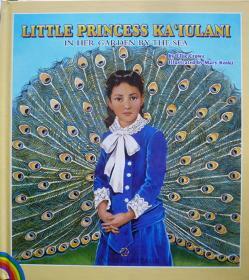 Snuggle up to this story of Hawaii's special princess, Kaiulani. Follow her adventures as a young girl growing up in Hawaii as part of the royal family. Learn about her special garden by the sea and her friendship with poet, Robert Louis Stevenson. Author Ellie Crowe offers children a rare glimpse of the Hawaiian monarchy, Princess Kaiulani and the customs of the day. The delicate drawings of Mary Koski bring Crowe's story to life by accurately depicting the architecture and clothing of the time period.